← The Rumble in the Stacks Continues with Victors! Hopalong Cassidy Beats Shane during the Rumble in the Stacks! Hopalong Cassidy is declared the winner of his fight against Shane! Way to go, Hoppy! Who will he face in the next round: Grace Raymond Hebard or Tom Horn? You tell us! Give us your vote in the comments section of this post, find us on Facebook, or email ahc@uwyo.edu with your top pick! 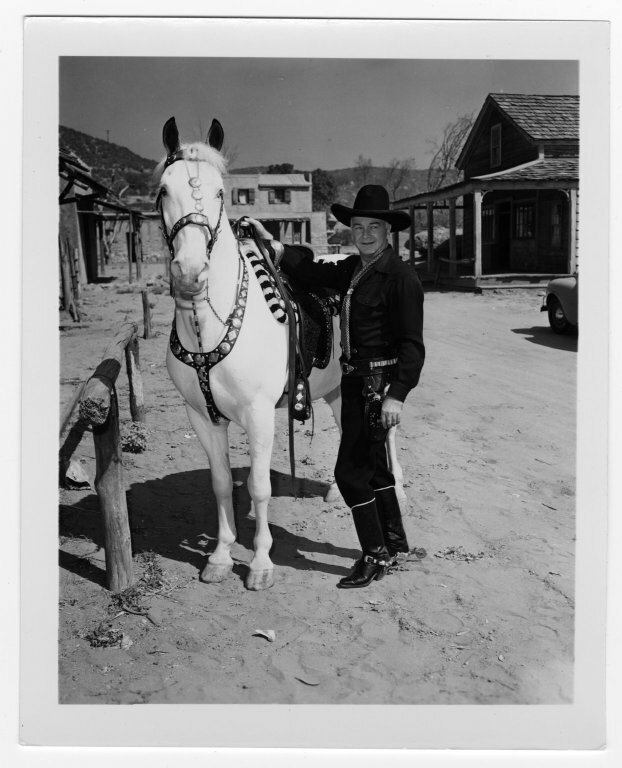 Photo of Hoppy with his horse, Topper, from the William Boyd Papers, #8038, Box 115, Folder 1. UW American Heritage Center. This entry was posted in American Archives Month. Bookmark the permalink.